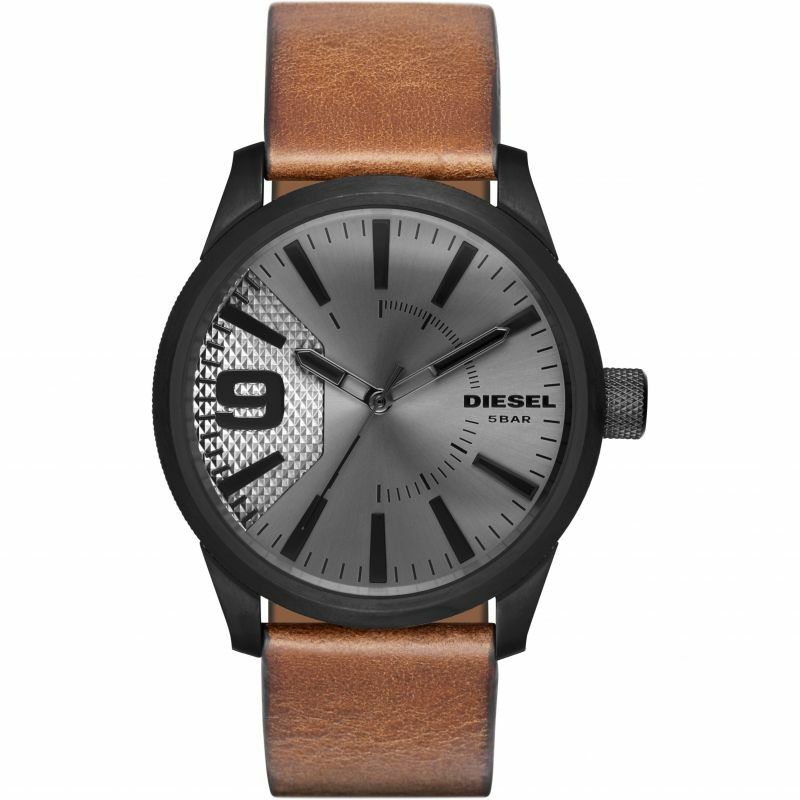 Diesel Mega Chief DZ4466 is a super handsome Gents watch. Material of the case is Gunmetal PVD and the Grey dial gives the watch that unique look. The features of the watch include (among others) a chronograph and date function. This model has 100 metres water resistancy – it is suitable for swimming, but not high impact. The watch is shipped with an original box and a guarantee from the manufacturer. 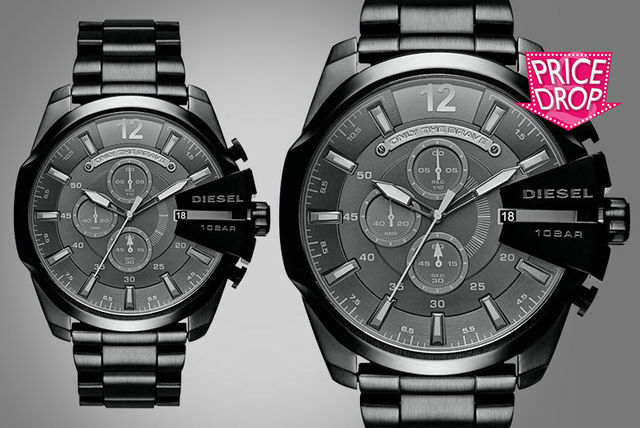 Diesel Rasp DZ1764 is an amazing and special Gents watch. Case is made out of Black Ion-plated Steel and the Grey dial gives the watch that unique look. 50 metres water resistancy will protect the watch and allows it to be submerged in water for periods, so can be used for swimming and fishing. It is not reccomended for high impact water sports. We ship it with an original box and a guarantee from the manufacturer. ‘Only the brave,’ is Diesel’s slogan, and you better believe it with the ultra masculine Black Mega Chief! 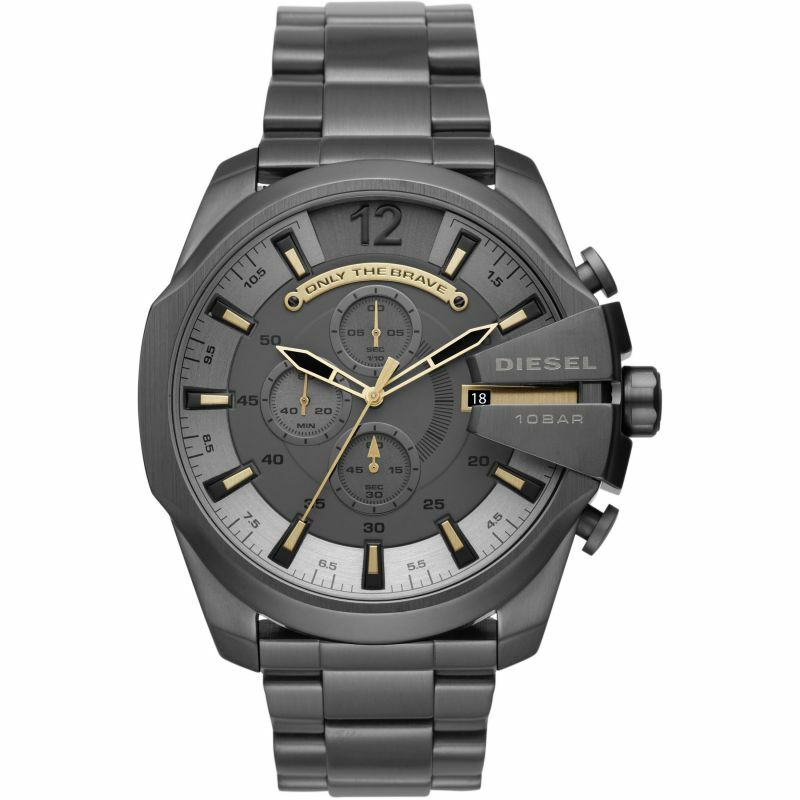 Get a men’s black Diesel watch. With a masculine oversized bezel! And a detailed, urban watch face.